Went out today with Rob and had a fantastic day. Never done this before but he was helpful and friendly. Took us through so lovely parts of North Wales and his knowledge of the area is brilliant. Went on some great tracks can't recommend him enough. What can I say; after riding bikes for the last 40 years, this was one of the most memorable days out I've ever had on 2 wheels. 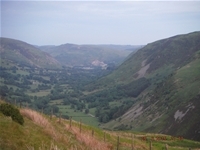 If you like riding bikes, enjoy the fabulous countryside & wildlife in North Wales, this is a must for your bucket list. 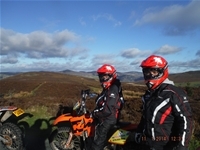 Rob was an excellent instructor and despite me & my buddy being complete novices off road, he gauged our capabilities and took us through a variety of trails of varying degrees of difficulty, giving clear instruction and advice. The day just got better & better. Big thanks to Rob & his wife for the warm welcome and hospitality; I can't recommend this experience highly enough; just do it, you'll never regret it. Booked Rob for a mixed ability group of 10. He was brilliant from the off, easy and understanding with booking, professional and well organised but allso one of the party, can not recommend this guy highly enough not one moan from the group and we can't wait to go with Rob again 5 stars really isn't enough. Many thanks to Carol and Rob for a very enjoyable day. Rob is an excellent guide, with a great sense of humor and provides useful and clear instruction. Would highly recommend the experience to anyone. 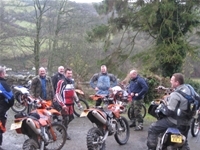 What a day!, boy did we enjoy ourselves, both never being on the enduro side we were catered for with enthusiasm from Rob. 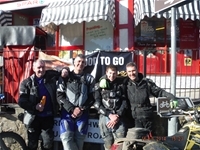 Suited and booted of we went with Rob giving the advice as needed, nursery slopes over, cafe stop done ! Then we're on it ! We've never laugh so much side aching and all good sport going through what we thought was quite technical and coming out the over end unscathed. Brilliant and we're going back for more. Big thank you to both Rob and Carol. 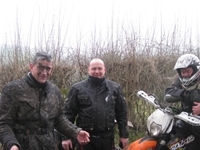 A big thank you to Rob for his patience and expertise during our first two day off road riding experience. 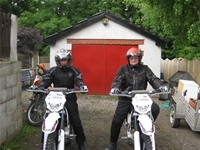 We both fully enjoyed ourselves, the bikes and safety equipment were excellent . 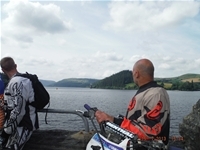 We got to see stunning scenery and ride some great trails which Rob knew like the back of his hand. 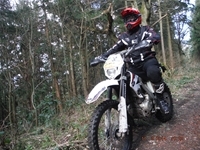 He managed to somehow find trails which were challenging, but also great fun at the same time. A lovely cafe for lunch each day, and it would not be fair if we didn’t mention Rob’s wife Carol who greeted us each morning with tea and each evening with tea and freshly baked cake. 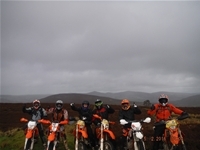 All in all a great couple of days, and we would not hesitate to recommend RM Trail Riding to anyone who was considering giving it a go. We’ll definitely be back. Went out riding with Rob on 2/4/17 and had a brilliant time. His knowledge of the area is second to none and he lead the way in a very professional manner with his assistant at the back who helped out when the going got tough. 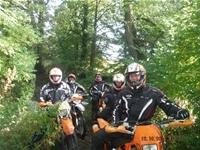 This was by far the best ride out I've been on in over 21 years of off roading and I will definitely be booking again soon. Along with the excellent scenery, lunch break in a proper welsh cafe, his great banter and some excellent little touches really made this a great day to remember. First weekend away with Rob and we already got the next 1 planned, nice guy, very welcoming and patient, and his wife makes excellent cake � roll on September, cheers! 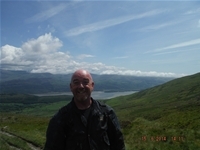 Testimonial: Spent two superb days with Rob. Excellent guide and all round top bloke. 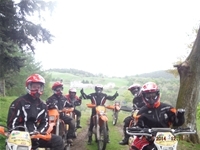 The trails are fantastic and the scenery stunning with a pace to suit the group. The cup of tea each morning is nice too! So good we've just booked to go back! This was my first time trail riding and bought this as a gift for my friend Phil. 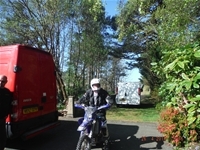 The whole set up was great, the clothing and safety gear was good quality and the bikes were excellent. Rob was really amazing with his tuition and more so with the amount of knowledge he has with the trails we went on. Can't wait to do it all again next year, and will look at doing a 2 day session. This was my first time off road. 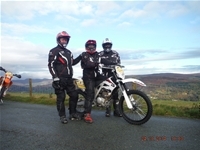 The kit was great, the bike was great and Rob's instruction and guidance was excellent. We covered 83 miles of varied, interesting and very scenic terrain. 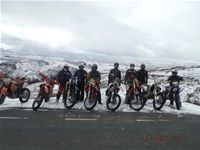 Our group for the day included experienced riders on their own bikes and we all had a really enjoyable day. 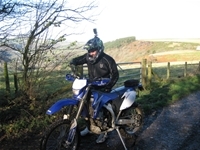 So if you're tempted to give trail riding a go, give Rob a call. You will be well looked after. 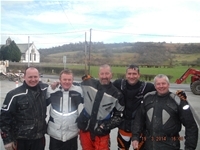 I am writing this on behalf of the six of us that had the pleasure of spending the day riding through the welsh countryside with Rob. We were greeted by Robs wife with tea and coffee. Rob gave us a short introduction to the bikes and got us kitted out, then we were off. A short ride on the local roads got us familiar with the bikes and then it was off road. Green lanes, gravel and rock tracks, mud and water. Some very challenging, but all taken with confidence thanks to Robs tuition and patience. A midday break at a lovely little cafe was a welcome rest break, and then it was off again. 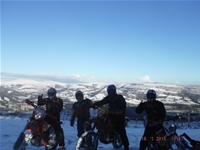 Lots more off road riding and stunning scenery. Back at Robs at the end of the day and we were met by his lovely wife bearing a huge pot of tea and cake. We will definitely by returning. Many thanks for a superb day. Dave, Mark B, Mark D, Steve, Dan, Dean. 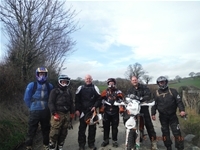 A big thanks to Rob and his wife (and Gary the Gate on Sunday) for 2 days riding from five 40/50 year old blokes from Somerset. Perfectly organised start with just the right amount of pre ride briefing. 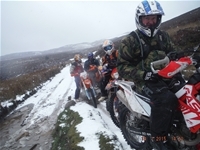 Day 1 and after an initial ride out Rob took us on increasingly more challenging trails as we gained in confidence. 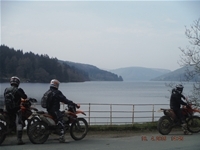 Day 2 to Lake Vyrnwy and back and more of the same with some proper tricky bits plenty of water crossings despite the dry weather and lovely long trails over the hills with scenery to die for. Bikes were faultless and clearly well maintained. Robs management of the group again was faultless with just the right amount of advice and instruction to make our experience so enjoyable. 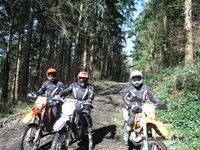 Just had a brilliant day out with Rob, three novices and very experienced rider and Rob made it a great day for everyone. From the minute we arrived everything went like clockwork, great bikes, good gear, professional operation. 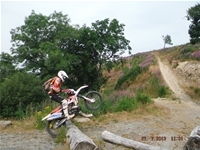 Rode some amazing trails, learnt loads, picked up a few bumps and scrapes all round fantastic day out. Rob even remembered to book the sunshine, it was a perfect summers day. I wouldn't hesitate to recommend RM Trails. The tea and homemade cake when you get back is a lovely touch and very welcome. Box ticked! 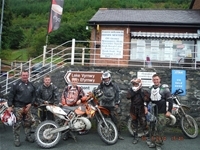 Completed the Barmouth Bonanza, two days and 220 miles off road from Llangollen to Barmouth and back. 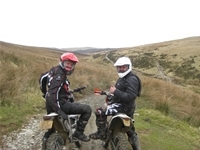 Through rivers and valleys and over mountains through some stunning countryside and challenging sections. Waterfalls, rock climbs and steep descents and tricky woodland sections separated by some fast dirt tracks. The Husky 300 never missed a beat despite being parked upside down more than once! Love that bike and she got me out of trouble when it mattered. The bruises are coming out and the aches will be there for days but I can't stop smiling. 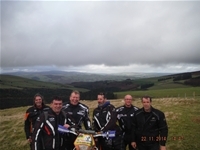 Many thanks to Rob Morris of RM Trail Riding and my fellow explorers (Old Men on Dirt Bikes) Lee Trumble, Nigel Slater, Jonny Harris, Brasso, Pete and Steve. Happy Dayz! 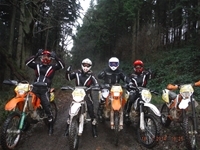 Check out RM Trail Riding on Facebook or his website, caters for all levels, seriously good value. 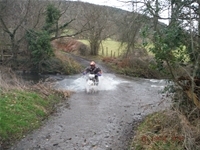 Just arrived back home from two days of quality green laning in and around llangollen. 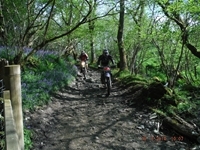 Two novice riders on day one getting down techie trails on day two all due to great coaching and patience from Rob Morris. Grins from ear too ear. Top Drawer!!!!!! Its been a week now, since spending a day with Rob on the 250's. Still buzzin !!! and will be going back soon. 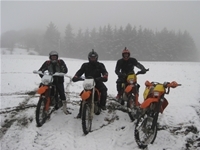 I have had several trail riding experiences over the last 20, years both in this country & abroad. I am usually a bit disappointed, but not with Rob. I really felt that for an older rider like me I was well looked after, never put under pressure and had a really good two days. Rob. was definitely the most professional guide I have ridden with, he rides at a sensible speed, opens gates (and even closes them), he carries tools, first aid and I think petrol. Altogether a very satisfactory two days which I intend to repeat next year in spite of the 1000+ miles return trip. An excellent day out - from being welcomed to the premise, a detailed explanation of the handling of the bikes, in depth knowledge of the terrein, Dave opening all the gates and the tasty cake and coffee once we got back to the garage! The rain late in the day added an extra layer of 'technical!' riding. I just did not want the day to end but my aching muscles and sore bottom screamed otherwise! Thank you to Rob, Carol and Dave for a great day out! We will be back! 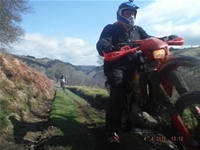 Excellent day out, knowledge of the land is amazing, pace was spot on and Rob matched the route perfectly to what we were capable of for an enjoyable ride. Fully recommend to anyone thinking of having a go. 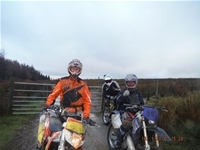 thanks to Rob, Shaun and of course Gary the gate we had a fantastic time at rm trails. after some one had let us down, saying they could take us around Barmouth, we didnt know what to do. i contacted Rob by e mail the week before we were surpost to go, Rob contacted me straight back and went out of his way to fit 4 riders in. he got Shaun to take us out on the saturday then Rob and gary took us out on the sunday. this has got to be one of the most professional groups and would recommend to any one, beginners to experts. we will defernatly be going back this year. 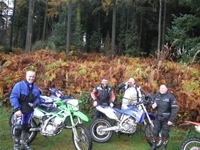 Had a fantastic time yesterday with two friends and Rob from RM Trail Riding. 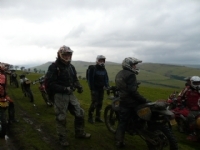 Great route, good distance covered and expert advice on suspension set up. Not forgetting the lovely cakes we had from Robs Lovely wife. Highly recommend ride and will be booking again soon. 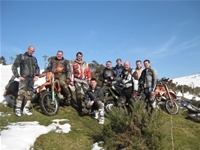 Cheers Rob for a top day out on the bikes. Awesome,don't think about,just go.you could not ask for a better guide than Rob Morris. 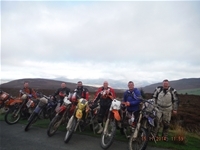 His knowledge of the area and appraisal of us as riders allowed him to taylor the ride to suit our abilities.any problems encountered along the way,like punctures,water logging etc were handled amongst the group so everyone gained a bit of field mechanics along the way.the terrain is spectacular,from gullies to mountain tops and rolling moorland. You'd have to go along way to find a team as good as Rob and his lovely wife Carol.cant thank you both enough. Fantastic day's riding Rob, just set at the right level for us TRF folks! Thanks for putting together a great day's ride and for the excellent hospitality. Coffee cake never tasted so good. 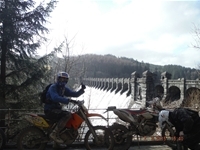 A definite recommendation for anyone wanting to see the best of the Llangollen and surrounding countryside on some superb trails. A good mixture of lanes and enjoyable banter to keep everyone smiling. What an awesome day... 118 miles of heaven! I had mechanical problems with my own bike 3 days before the trip so ended up hiring a bike off Rob. It was immaculately prepared and rode faultless for the whole day. 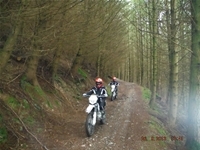 Cracking trails with an excellent guide and also had lots of tuition which brought my riding on. I will definitely be back! If I had to sum the day up in one word, Awesome would be my choice, first time I've used Rob and will use him time and time again, the day was extremely fluent with just the right ratio of trails / roadwork just to give you enough rest! Rob is a top chap who is more than happy to pass his knowledge on! Can't wait to go again and the same applies to my mates who came along, Sportsbra (Chris) and Turkish (Rich).Cheers Rob see you in a few weeks!! 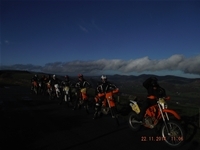 Joined 3 other riders for the day from Mold area on Sunday the 11 Jan 2015. This is the sixth time in 1 year that I have been out riding with Rob and different riders and every ride has been different along with the challanges. What a top day I had amazing as usual. Keep up the good work rob and thanks for another great day. We have just had 2 days will Rob.. What a guide, Real nice bloke as well. Yesterday was the second time we had Rob as our tour guide around Wales. Like the first time we had the best fun ever, Rob runs his trips to perfection and He always makes you day perfect to your riding abilities. Can't wait until next year. We had been watching the Facebook posts and reading the testimonials but the day totally exceeded our expectations! Rob's a brave man to take on three rookies but he was calm, patient and we learned so much. We would come back again without a doubt. Cheers for a cracking days riding Rob, did about 100 miles of great trails some fast ones and some very tricky and slow ones. Had a good few laughs as well with everyone having a few tumbles. No broken bikes or bones so a spot on day. Can't beat the brews in morning and cake and brews when we got back. Will be back soon! I'll put the videos I took up soon as well. Cheers. Jack, John, Dean, Andy, Brad, Matt. 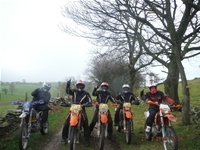 3 of us travelled from Cheshire for a days trail riding with bike hire and what a fantastic day we had! We are all experienced on road bikes but novices off-road so a little apprehensive; Rob is a great bloke and he put us at ease straight away. We did a few miles on tarmac to get used to the bikes and then on and off road for the rest of the day, absolutely loved it! The gear supplied from helmets to boots is top-notch, everything fitted perfectly and the KTMs are a joy to ride, I have gota have one! We will definitely be back with RM very soon, look forward to a ride out in the winter. - Cheers Rob! 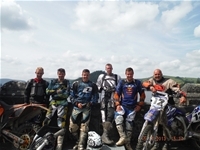 3 of us had a quality day out with Rob around Llangollen, tagged on with another group making 10 of us in total inc. Rob, just made for more fun & spills! He knows his lanes well, all I'd love to do again, some more difficult than others. Handy man to have with you in mechanical difficulty, sorted out a water flooded engine after someone went in too deep and towed another lad at the end of the day with a seized gearbox (everyone had their own machines, not his rentals). Great scenery, great lanes, great weather and an excellent guide. Cheers Rob - We'll be back! 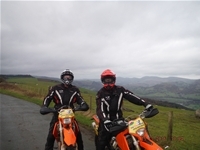 Just want to say what a great day out on the bikes with Rob top bloke and cant wait to do it again. What a brilliant day out! Not laughed at myself or others as much for ages. Well looked after with tea and cake too . Would definitely recommend and I'd definitely like another days experience . Some mates and i had two days with Rob and what a great time we had! He looked after the whole group and solved each problem as they came up, this even included someone's handle bars snapping off! His local knowlege is excellent and will guarantee you a successful trip. We were even provided with free cake, I will be booking again. We joined Rob for our first ever day on the trail and as complete novices he showed us a perfect route through some stunning Welsh landscape. He assessed our level and took us on some challenging sections which I would not have thought we would have been able to get through, but got a real buzz when we did. He clearly knows his stuff and is easy to learn from. A great bloke and a brilliant day, thank you, we will be back! 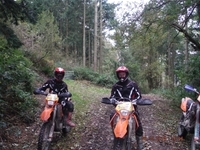 Had a brilliant day riding with Rob. Brilliant guide, very easy going and no rushing. The trails are a good mix of fast and technical. He even ordered some good weather for us. With years of road experience and some motocross time under my belt, I wanted to try trail riding. I can honestly say it was one of the best experiences I have had. 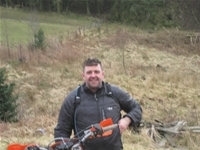 Rob's advice was excellent and his knowledge of the trails was very impressive. The entire day was worth every penny and my introduction to trails exceeded expectation. Needless to say, I am now looking to purchase my first trail bike. If you are in any doubt do not hesitate to go for a day or two with Rob as you will enjoy from beginning to end!!! I have been on a few trail riding weekends with different providers over the years yet would still define myself as something of a novice. I've also never felt compelled to write a testimonial before - but I am making an exception here for a good reason. The whole package offered here is superb, easily the best I have experienced. Well hosted, guided, excellent kit, good accommodation, fantastic trails/scenery and very professionally run all at a competitive price - excellent value. 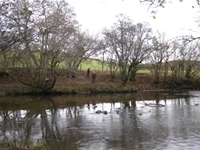 The level of difficulty progressed smoothly over varying terrain during the course of the two days and was expertly matched to the ability of our group. Robs advice and guidance was both right to the point and patient! I thoroughly recommend booking! 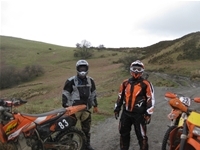 Did 1 days riding with rob on the 4th January 2014. 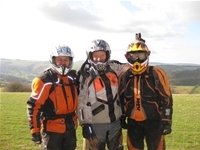 Rob is a genuine caring and patient instructor, he's mega cool and gives loads of advice and tips on how to get the most out of your days riding with him. 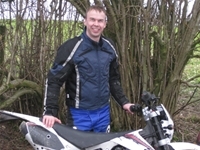 Rob has many years and experiance of riding and competitions under his belt. 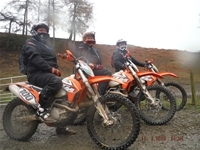 Personally i dont think i could have found anyone better to show me the ropes on trial riding. Definately one of the best days experiance and fun i have had in a long time. 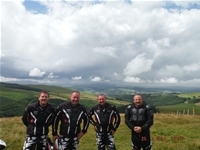 Honestly, if you are thinking of booking to go riding with rob do it, you wont regret it youll have such a buzz and a fantastic day, Well worth every penny. The scenery is also breath taking. You may even get the chance to watch Rob's amazing skill at riding. What a guy. Thanks again Rob for an amazing day and for looking after us. 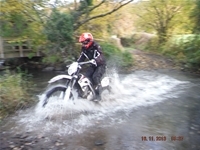 I'll definately book to go riding with R M Trial Riding again. 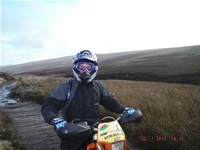 Rob many thanks for a fantastic days riding through some magnificent Welsh scenery. 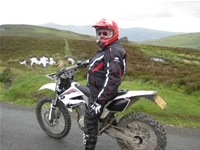 The AJP bikes are perfect for tackling the terrain light and easy to ride, and Rob keeps them in excellent condition. Having not ridden off road for many years Robs experience and local knowledge ensured that he selected a route perfectly matched to my ability, end the day exhausted but grinning for ear to ear! I would defiantly recommend RMT for a fabulous day out, many thanks for the tea and cake most appreciated. 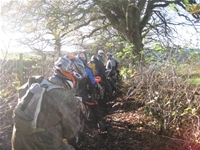 Hi Rob, I just wanted to drop you a line to thank you for a great day's trail riding. I had not ridden off road since I was a kid, and even then my experience was limited to riding field bikes on farmland. I think you gauged my skill level and level of ambition perfectly. We covered some challenging terrain and I felt like I really progressed during the day. I bit the dust a few times but that was to be expected, your tuition style of letting me make my own mistakes and then offering advice on how I could avoid making the same mistakes again was perfect. 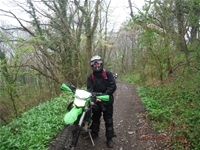 I came away inspired and encouraged and I am currently shopping for an Enduro so I can start Greenlaning back in Dorset. 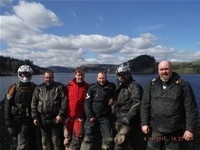 Anyway, thanks again and congratulations on your recent result at the Dawn 'till Dusk 24 Hour Enduro, I'll definitely be booking with you again I had a superb day. Best Regards Adam. 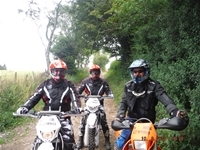 I Booked a Saturday for my two oldest lads and myself including bike hire and all the gear plus a guide for the three of us . Told Rob we had a little bit of off road experience . 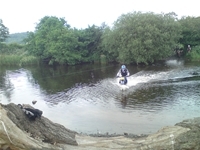 ( I lied as I had not ridden off road since owning a moped 34 years ago ). We turned up on the day not quite knowing what to expect having not done any thing like this before . we found Rob to be very welcoming on our arrival and quickly sorted out the paper work and riding gear . All the bikes and gear where clean and in great shape . His local knowledge was unbeatable . When we where out and about on the bikes most if not all the locals acknowledged him as we passed them. 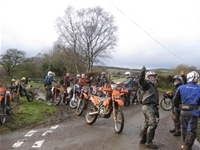 His guidance and approach was great .He lets you get on with it unless you are close to eminent failure or risk to other riders or people in your immediate vicinity. 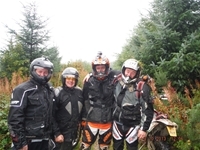 We all got wet & muddy and had several encounters with the local wildlife on our travels .We rode a variety of trails each one increasing in difficulty as our ability was accessed by Rob as the day progressed . We covered 90 miles and I did things that I thought where far beyond my ability. All in all we had an absolutely brilliant day . As we traveled around the local country side It became very apparent that Rob has a great deal of respect for other people and their property . 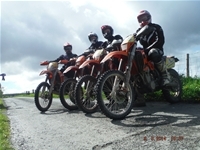 So If you are looking for a Responsible fun packed exciting days Trail riding this is the one to choose . 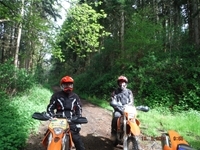 Both my son and me are experienced riders and race off road quite often, so I was a little anxious as to wether we would enjoy "trailriding" (my daughter booked it for my birthday). 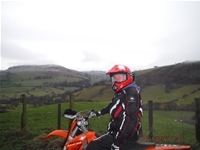 In short it was a fantastic day, Rob is a quick and tidy rider and took us on some challenging trails, I would have no hesitation in recommending Rob at LLangollen to any experienced riders. I did not believe that so many trails still existed but that was down to Robs unbelievable local knowledge. At the end of the day we were knackered after a 120mile day!!! GREAT time was had by all. I laughed so much i am aching all down one side. Good luck on your fantastic set up. Thanks for a great 2 days, you gave us 1st timers some good tuition and your patience was outstanding. We both went away wanting more; so we will be back soon. What an amazing weekend which I 'highly' recommend! Rob is not only an excellent guide, but a really nice guy who will help in any way he can. We had three serious issues with our bikes, and he done everything he could, and got them back on the lanes within no time. Unfortunately mine was beyond repair, so he pushed me (foot on exhaust) about 30 miles home, and to top each day on the lanes, his wife makes the teas & coffee with cakes. THANK YOU & we will definitely be returning later in the year. What a top man rob is. I dropped my bike rob fixed it in the middle of nowhere with a couple of rocks n spanners. Totally recommend this guy to take anyone anywhere. 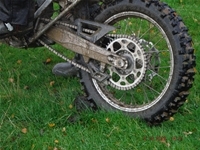 Ive not got a mechanical bone in my body n if we hadnt gone with rm trails id still be stuck on that track now. Cant wait to go back.thanks rob. Fantastic day .. Rob is an absolute superstar !!!!!! Hire bike never missed a beat all day well worth the trip down cant wait to return !!!!!!!! Well what a day i had, i went from not really wanting to be there, my mate was blagging me to go, falling off in first 5 mins to getting back on and couldn't stop smiling all afternoon. i can only say what a top guy Rob is i'd not been on a crosser or trails bike for 20 years, before the day was over i wanted my own, and to go out on lanes,tracks i never even imagined was first class. I've got to say when i get my own bike the way forward is blastin about with Rob, a top guy and i can't wait to do it again. i'll be booking soon and so will everyone I've told about it. 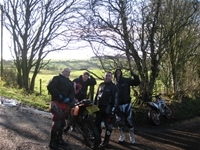 Hairy Bikers from Chesterfield had yet another great day out with Rob on Saturday 23 February. I am 52 years old and still haven't grown up. Lots of fun and laughter, and lots of banter. And would recommend going out on the trails with Rob. He is a fantastic guide, and gives lots of advice. Thanks again Rob for another fantastic weekend. Yet another cracking day out with Rob. Always a hugely enjoyable day with the emphasis on FUN! Rob's knowledge of trails around the area is second to none, with trails to test everyone's skills, yet always rewarding. 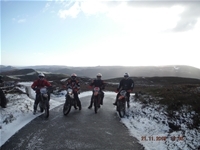 Hi rob ,yet another great day out riding our third time out with you and it just gets better will defiantly be back after christmas .if anybody reading this is looking for a great day out riding with great guide on great trails get it booked ASAP ,cheers again Rob for a great day GRUM . 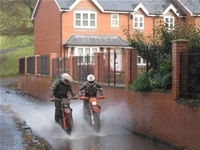 Thanks for the cracking day out, all that wet weather was certainly a baptism of fire for me and my new (to me) bike! 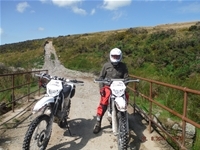 Thanks Rob for a super day in north wales first class riding ticked all the box's and will be back soon cheers Chris Cook.